How lucky are we at this end of the Ardnamurchan Peninsula, that we have friends who are willing to share their skills with us. The next “Skills Heroine” is May McNicol. May will be giving up 2 hours of her time to teach knitting skills to anyone who’d like to learn. Male, Female, Young or Old, May will help you master the sacred art of “in, over, through and off”. 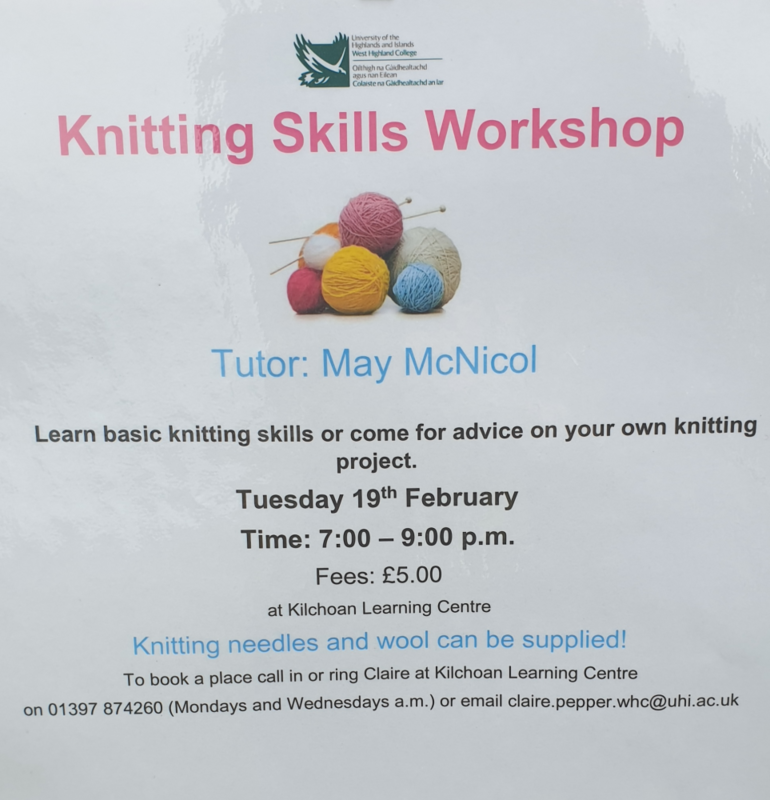 If you have the skills but would like some help in improving them or are stuck on a bit of your pattern, then why not bring yourself along and let May help you work through this. Come and join May at the Kilchoan Learning Centre on Tuesday 19th February from 7pm to 9pm. There is a small charge of £5.00. If you would like to learn, but are using the “I don’t have needles or wool” excuse, then May has got you on this as she is happy to supply needles and wool.